Experience the excitement of shopping at Just Love Fashion. Having a wardrobe stocked with the latest styles is essential. With such a variety of women’s apparel, you’re sure to hit the jackpot on stylish pieces for comfy or casual looks, even nursing uniforms. Stay on trend with the hottest looks or just restock on basics that every woman needs! Designed with a mix of uncompromising quality, style and comfort, our extensive range of women’s wear caters to the lady of discerning taste. Shop everything from the latest dresses, comfiest sleepwear, sexiest lingerie, to functional sportswear, and treat your closet to high-quality pieces that go easy on your wallet. 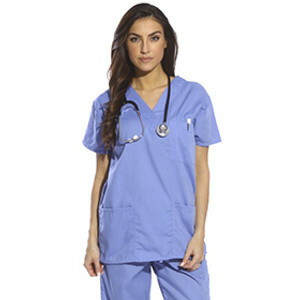 Looking for comfortable women’s nursing scrubs you can afford? Just Love Fashion carries a vast selection of solid, print, and holiday scrub tops and bottoms. Go to work looking cute and ready to tackle the day! With our dress selection, you’ll find sundresses, rompers and maxi dresses. Whether you’re looking for the perfect summer day dress or one to wear out with the girls, you’ll be impressed with our selection. Find the perfect exercise essentials that will motivate you to get to the gym. Our sportswear is a great choice for those who want to be comfortable while being active. When it’s time to rest, get cozy in our sleep & loungewear. We have a wide variety of options ranging from pajamas and robes to nightgowns and housecoats. 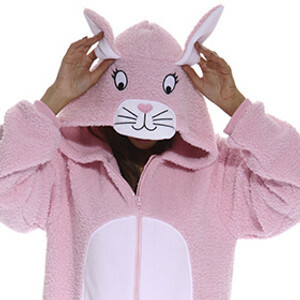 If you’re looking for a fun option that takes comfort to the max, check out our adult onesie’s! Who said footie pajamas are just for kids? Each offer a little something for you to snuggle up in every season. We also have an extensive selection of lingerie with basic bras, sports bras and underwear for everyday wear. Shopping for clothing has never been easier – dress up or dress down with the pieces from Just Love Fashion! Get the benefits of convenience and quality selections that are easy on the wallet by browsing the apparel we offer for women. Place your order today or contact our team if you have any questions about purchasing our apparel. We’re always happy to help!